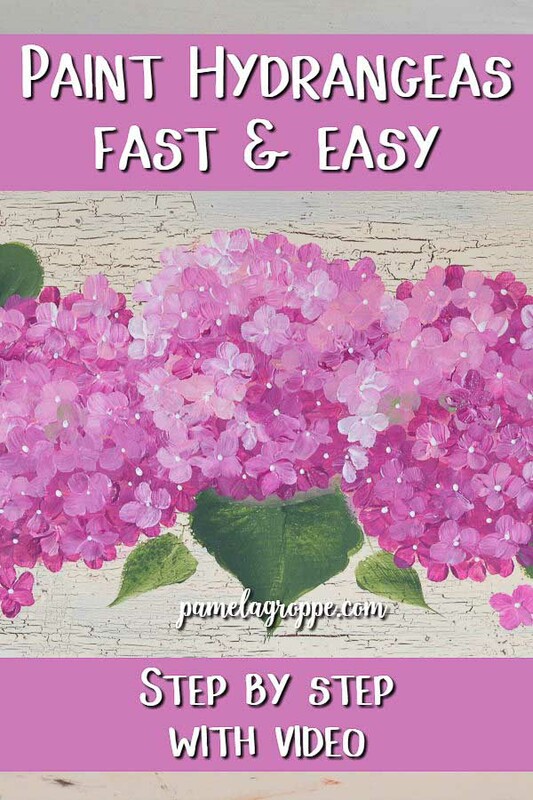 Learn to Paint Hydrangeas Fast and Easy in acrylics. A fun painting tutorial for beginners. 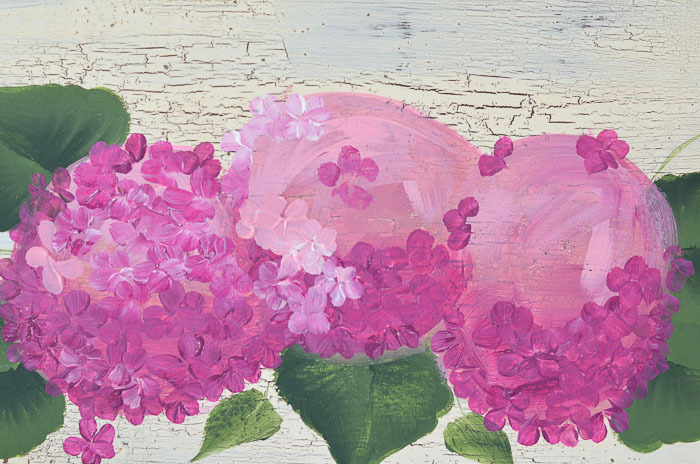 Painting hydrangeas is a wonderful way to get started painting. Easy strokes for all. 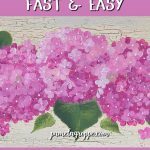 I want to help you learn to paint hydrangeas fast and easy. 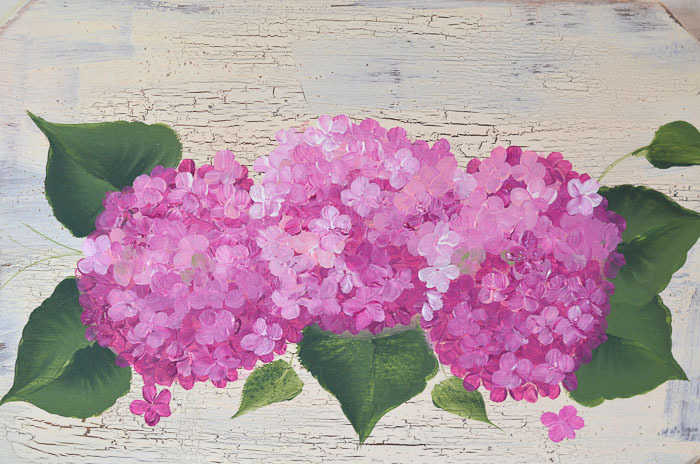 It isn’t hard to paint hydrangeas, and with a few tips and tricks you can be successful in short order. 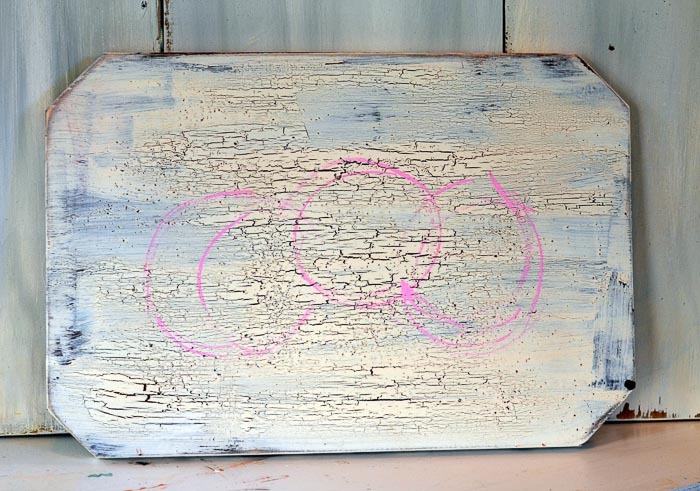 Create a DIY hand painted sign for yourself or as a gift for friends or family. Just FYI, this was just moved from my former site. It is one of the first lessons I ever did and was posted in 2013. My video quality shows how far I have come but this tutorial is still one of my most visited. I don’t know if that is good or bad. The lesson taught is still good so I finally got it switched over to this site. I start with drawing on some loose circles with the chisel edge of my paint brush. No need for them to be perfect circles, hydrangeas can be oval shaped too. I keep working them until I feel they are the right size to fit the scale of my sign or design. 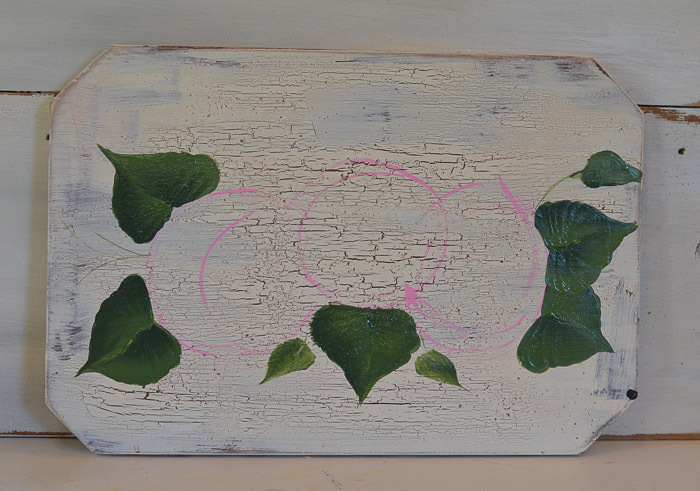 Paint in some leaves to sit behind the flowers (link at bottom of this post to How to Paint Leaves). This is a version of my scallop leaf. Paint in some color, darker at the bottom and lighter at the top for shadowing and highlighting. Paint a simple five petal flower. In this case I used a #6 filbert brush but you can use what size fits your design. 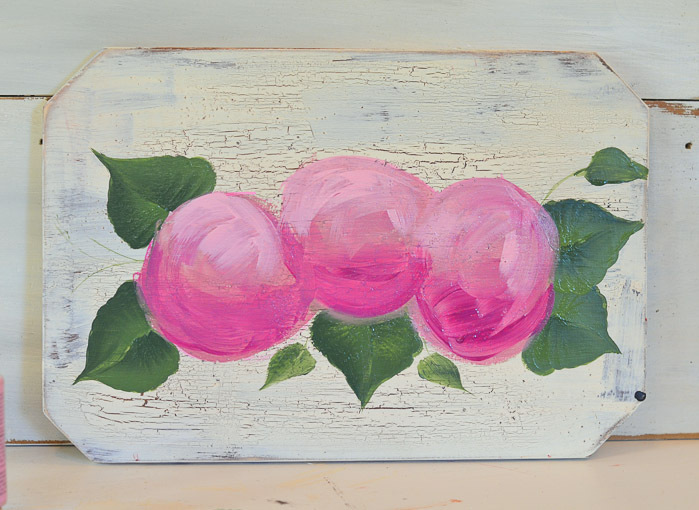 I prefer larger petals so I would go with a larger brush for this. A five petal flower is simple. Imagine a stick figure man. First stroke is the head. Then two arms on each side of the head. Next paint in the legs. And you have a 5 petal flower. You get the idea in this video below. Just remember this is one of the very first videos I ever created and it is pretty rough. 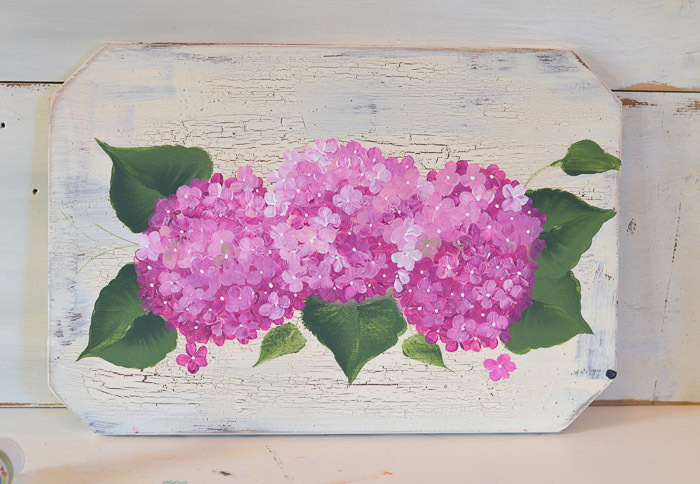 Starting with the darker color I paint in some hydrangea petals along the bottom and some on outside edges. Once satisfied with the amount of dark hydrangea flowers or petals start working in the lighter ones. I will work in a tad of green here and there. 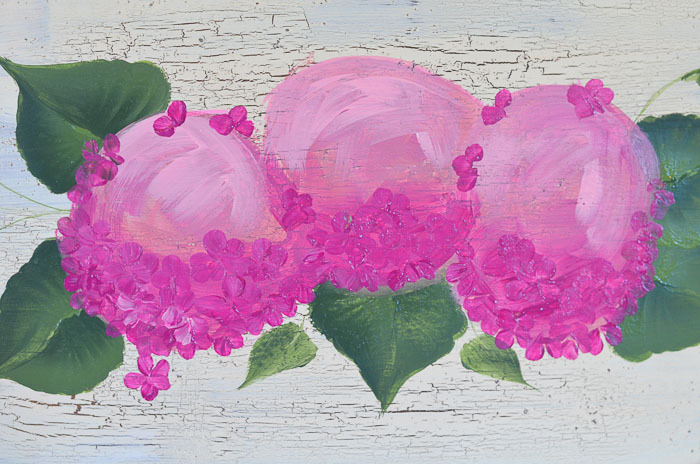 Keep adding flowers or petals until the under painting is mostly covered. 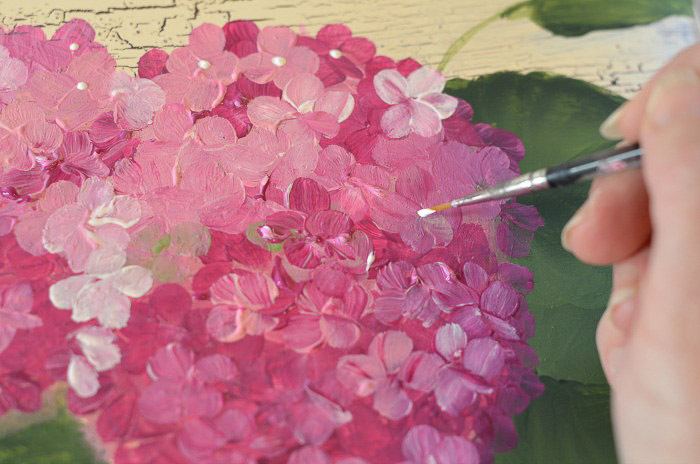 Last but not least add some little dots for the flower centers with a liner brush. Stand back and see if you need to add or change anything. Sometimes you need to just step away for a bit and come back. Many times walking away and coming back reveals you are really done. If you are making this into a sign then add the lettering once you flowers have dried. Here is a post on lettering. 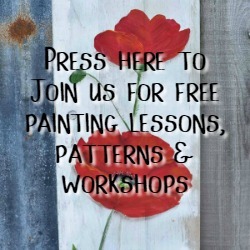 Want more easy painting lessons & tips? 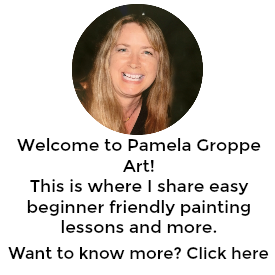 “`A friend once commented when my car was needing a check up, or so I thought, “If it ain’t broke, don’t fix it!” Best advice for lots of things!